Not being able to eat something you like because of tooth sensitivity is one of the most exasperating feelings there is. No one wants to feel pain and discomfort when eating. That’s no way to enjoy your food! 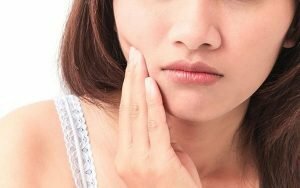 So what is tooth sensitivity? What causes it and more importantly how can it be prevented? 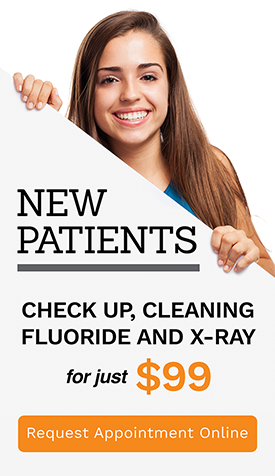 We at A Plus Dental can help! Read on to learn more. Inside your tooth is dental pulp, which is made up of living blood vessels, connective tissue, and cells called odontoblasts. The pulp branches out and down to the root of the tooth through the canals and stops at the tip of the tooth or more commonly called “tooth roots”. The dental pulp serves as the centre of nourishment of the tooth. The blood vessels keep the tooth from being brittle. It also has a sensory function. When the dentin created by the pulp is exposed to temperature changes, it reacts and causes pain. Thus, when the enamel protecting the dentin is eroded, the dentin is exposed to infection and temperature changes. Hence tooth sensitivity. The following are the common causes of sensitive teeth. Desensitising toothpaste – there is toothpaste available in the market that specifically targets tooth sensitivity. This does not treat the real problem but simply blocks the pain when you eat or drink cold or hot food/drinks. Fluoride – remineralisation through fluoride treatment is one way to treat tooth sensitivity. Dental bonding – for exposed roots in periodontitis, dental bonding is recommend. A tooth coloured resin material is bonded to the surfaces of the damaged teeth to cover the exposed roots. Dental scale and clean – this is effective in the early stage of gum disease, gingivitis. The plaque and tartar buildup, which irritates the gums, is removed and the gums can slowly reattach themselves. Root canal therapy –root canal therapy is the removal of infected dental pulp and replacing it with a filling. Often a dental crown is used to reinforce strength. The success rate is between 85 % – 97 %. At A Plus Dental, we strongly emphasise the importance of preventative dentistry services to prevent dental problems such as sensitive teeth. Take advantage of our preventative dentistry services today! If you already have sensitive teeth, see us right away to begin treatment. Time is of the essence when it comes to your oral health.